The Savi W740 offers ultimate flexibility for business communication with its convertible wearing styles, 120 metres of wireless range, and three-way connectivity for managing calls on PC, Mobile, and Desk Phone. This lightweight and comfortable headset comes equipped with CAT-iq wideband technology to ensure better sound quality on calls; and advanced digital signal processing improves the audio for more natural voice reproduction. Further benefits include a noise-cancelling microphone, dependable battery life, and the ability to wear the headset over-the-head, over-the-ear, or behind-the-head). 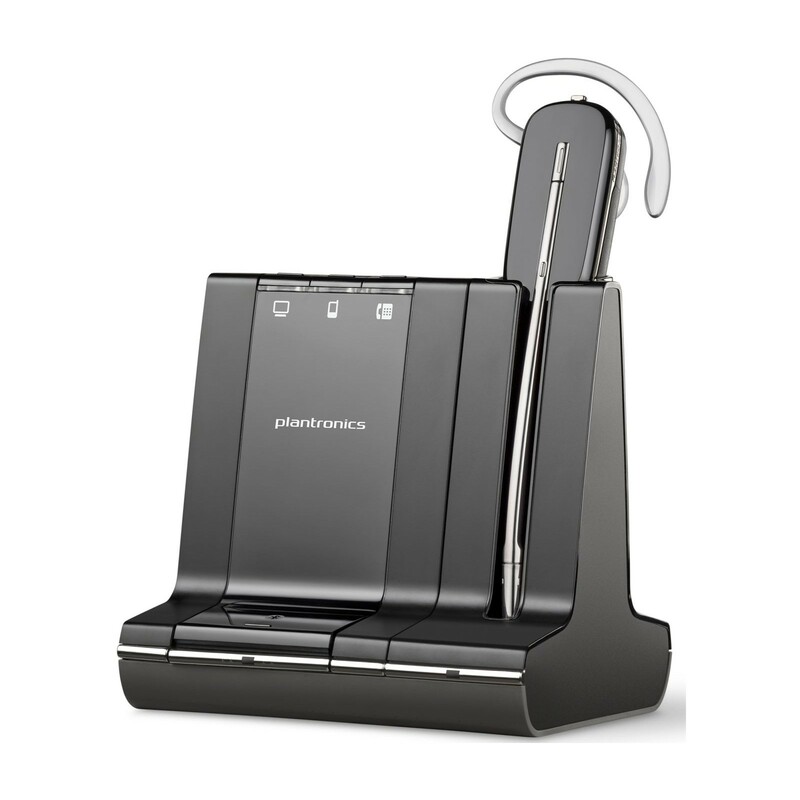 For style, comfort, and flexibility; the Plantronics Savi W740 delivers exceptional quality and has been optimised for Unified Communication making it ideal for any business environment.